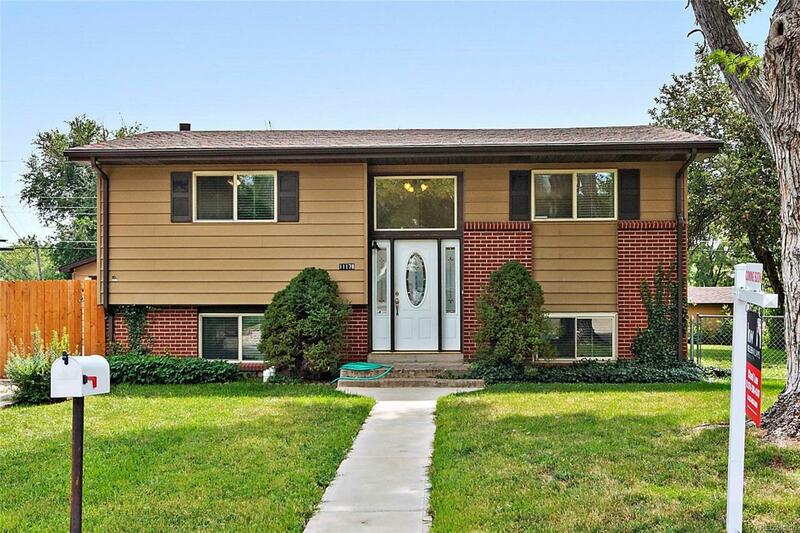 Beautiful, split level home located on tranquil Green Mountain in Lakewood. Completely remodeled, the lower level boasts a stunning kitchen with granite countertops, new appliances and maple cabinets with soft close drawers. Off the kitchen there is a bedroom, bathroom, living room space and access to an outside patio for entertaining. The upper level includes two more bedrooms, full bathroom, an additional living area and a brand new gorgeous, walk out, south facing deck. Fully turnkey, the entire home has new flooring, paint, lighting, doors, double pane windows, window coverings, furnace, roof, sewer line and more all it needs is your personal touch.To compliment this home, there is a massive two car detached garage with a finished and heated workshop wired 220. Plenty of room to store your motorhome or boat. Pick apples from your very own mature tree and enjoy the irrigation canal that adds a nice buffer to the property. Close to the mountains, close to Denver.